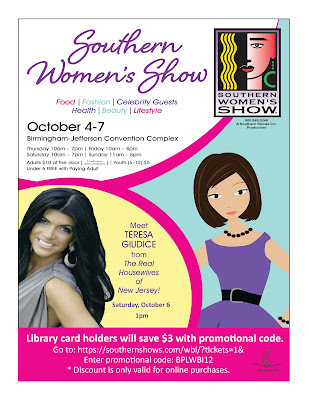 The Southern Women's Show will be in Birmingham on Thursday, Oct. 4, through Sunday, Oct. 7, at the Birmingham-Jefferson Convention Complex (BJCC). Tickets at the door will be $10, however library card holders can get a $3 discount if they buy their tickets online. To get started, go to https://southernshows.com/wbi/?tickets=1& and use the promotional code BPLWBI12. The event will be packed with information on food, health and beauty. There will also be fashion shows and celebrity guests. 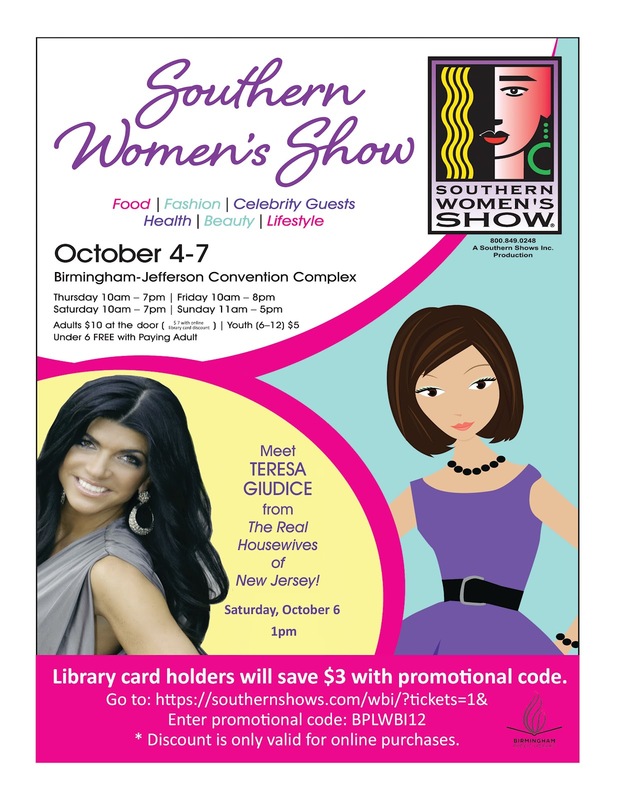 Teresa Giudice of Bravo’s “The Real Housewives of New Jersey” will speak on Saturday, Oct. 6, at 1 p.m.
What makes a successful child? Good SAT scores? High grades? Optimism? Perseverance? 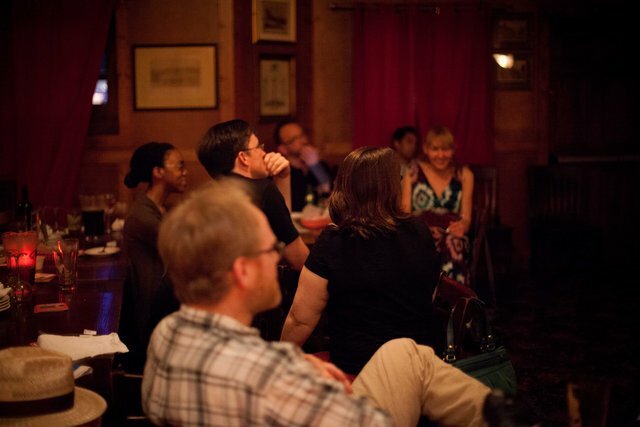 New York education journalist Paul Tough digs deep to find the answers. 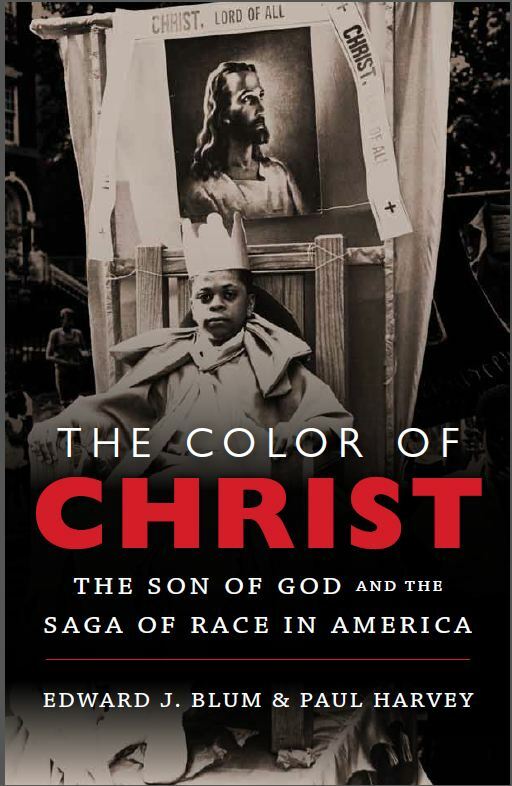 On Tuesday, Oct. 2 at 12:30 p.m., he will share his research and thoughts during a free lecture in the Arrington Auditorium of the downtown Birmingham Public Library, 2100 Park Place. 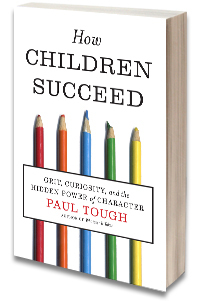 In his latest book How Children Succeed: Grit, Curiosity and the Hidden Power of Character, Tough argues that there's more to success than a high IQ. 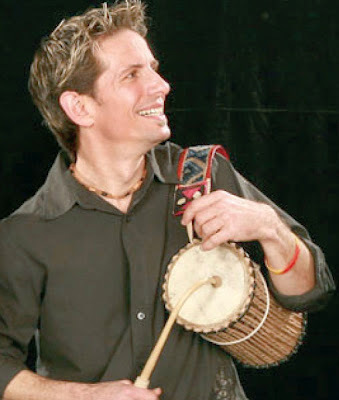 He suggests that discipline, an adventurous spirit and determination are just as important, if not more important, than performing well on standardized tests. Tough argues for a different understanding of the idea of character. He contends that parents, schools, coaches, teachers and the community have a responsibility to help children develop their character strengths as well as their math skills. 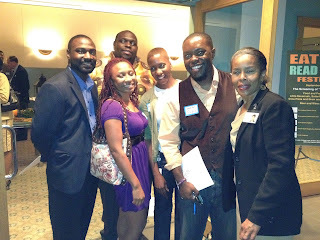 He tells amazing stories of how community members and children work to avoid failure and push toward a brighter future. The Birmingham Public Library, the Alabama Pro Chapter of the Society of Professional Journalists and the Desert Island Supply Co. are sponsoring his appearance. Copies of his book will be available for purchase and signing. For more information, call the library at 226-3690. Dreaming about getting your poetry into print? On Tuesday, October 2, from 6:00 to 8:00 p.m., Kim Conwell-Butler from Rocky Heights Print and Binding will lead a workshop on "the myths and truths about self-publishing” followed by a question and answer session. The Birmingham Public Library is partnering with the non-profit creative writing organization, Real Life Poets, to offer free adult poetry workshops, Gifts of a Wordsmith, the first Tuesday of the month from 6:00-8:00 p.m. in the Story Castle on the second floor of the Central Library. The classes will cover topics such as how to get your thoughts down on paper, overcoming writer's block, copyright issues, self-publishing, how to perform, and more. The Friends of the Birmingham Public Library will fund the workshops. For more information on the adult poetry class, contact John Paul Taylor at johnpaul@reallifepoets.org or 205-585-8271. 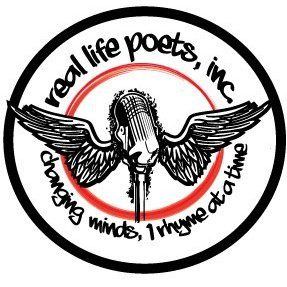 The Real Life Poets website is www.reallifepoets.org. The BPL contact is Haruyo Miyagawa, 205-226-3670. Her email address is hm@bham.lib.al.us. If you grew up during the Cold War Era, chances are you remember practicing the “duck and cover” method - crawling under your desk at school and covering your head - to protect yourself from a nuclear blast. Although that may sound ridiculous to us enlightened twenty-first century folk, this era of human history was a time of very real fear - fear of being overrun by Communism and of sudden annihilation by nuclear war. In fact, it was this fear that drove many novelists to document their anxieties through post-apocalyptic scenarios. 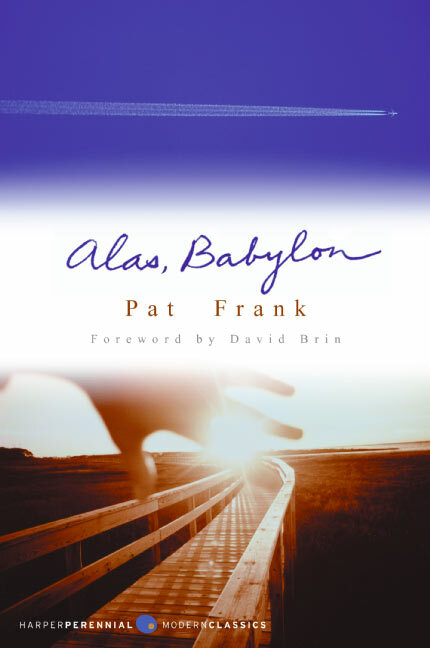 Alas, Babylon is one of the many modern classics to emerge from this period. The story is this: Mark Bragg, older brother to the novel’s main protagonist, Randy, is with SAC intelligence in the US military. With tensions rising between the US and Russia, Randy has agreed to take in his brother’s wife and kids, who live on a military base in Omaha, Nebraska, should things escalate to a full-scale nuclear war. The private code phrase agreed upon is “Alas, Babylon,” taken from a verse from the Bible’s Book of Revelations about the destruction of an ancient city marked by its population’s iniquitous behavior. When Randy receives a telegram ending with those two words, he knows the end is near. Fortunately for him, however, he lives in Fort Repose, a small, out-of-the-way town in Florida. While the Russians are certain to bomb major cities and military targets, little towns like his lose their electricity, but manage to avoid major damage to their infrastructures. Once all military targets and major cities have been reduced to radioactive dust, it becomes a story of a town’s fight for survival as society as we know it creeps back toward the middle ages. Highwaymen prey on travelers, and stealing community livestock becomes an offense punishable by death. Paper money no longer has value - instead, people trade for goods like coffee, soap, whiskey, etc. While the town is not troubled by radioactive fallout, looters foolish enough to wander into contaminated “hot” zones bring about their own demise when they steal radioactive jewelry and valuables from abandoned stores and stash them in their homes. In other words, Frank maps out his premise well, and builds an interesting story about life in a small town after the apocalypse. So for those interested in great plots and big ideas, this relic from the Cold War Era is worth checking out - although if you’re not a member of the Baby Boomer generation, I would definitely suggest talking to someone who lived during this era to fully appreciate Frank’s work. When I was a freshman in high school, I was required by my teacher to furnish written permission from my parents in order to write a term paper on J. D. Salinger’s The Catcher in the Rye. If not the very first, it was an early lesson for me on the concept of censorship. Thankfully I had no problem finding a copy of the book and literary criticisms on it at the Birmingham Public Library. I learned right away that it had been challenged many times by concerned citizens that wanted it removed from schools and libraries. About ten years later it was cited as being the most challenged book ever. Ironically as the years passed it was reported to be the second most taught book in American schools. In 2005 Time magazine listed it among the 100 best English-language novels written since 1923. It now appears on many school reading lists. Many young readers are attracted to the young, rebellious and troubled protagonist, Holden Caulfield. Maurice Sendak, the beloved, iconic children’s book author and illustrator faced many challenges against his works. The most ardently challenged title was his In the Night Kitchen (1970) that portrayed a young boy’s dream-like journey through a baker’s kitchen. Many became upset that the young protagonist, Mickey, was depicted without any clothes. Some librarians, teachers, and others took it upon themselves to paint (or mark with markers) diapers on his image to hide his private parts. Often this amounted to defacing public property (library books). Copies of this title were also burned. Mr. Sendak died this year on May 8. 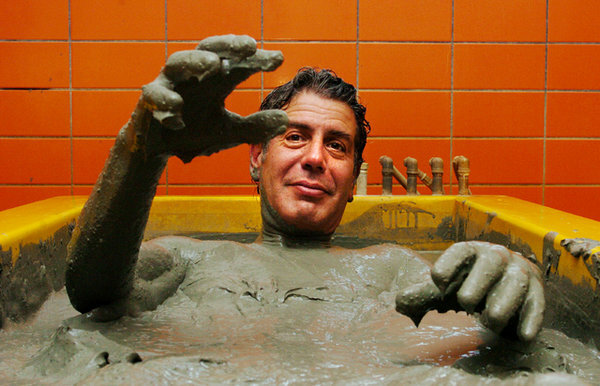 Just months before his death, he appeared twice on The Colbert Report. Unlike many of Stephen Colbert’s guests, Sendak and Colbert were evenly matched with their outlandish humor. At one point Colbert handed Sendak a sandwich bag full of perfectly round cut-outs. These contained images of Mickey’s private parts. Sendak loved it—a Swiss cheese book. 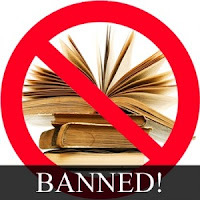 Huck Finn or The Adventures of Huckleberry Finn is the fourth most banned book in the United States. In January 2011, NewSouth Books (Montgomery, Alabama) published revised editions of Huck Finn and Tom Sawyer in one volume with the editorial assistance of the Twain scholar, Alan Gribben. Gribben essentially replaced the frequently used “N”-word with the word "slave". The intent was to make the works more palatable to the public at large and to make it easier for teachers to assign and use in the classroom. This was met with mixed reactions and lively discussion. Some argue that the historical context and the author’s own choice of words should not be altered. Others feel that the changes bring the works back for more use in these current times. This is a classic case of purist attitudes versus politically correct attitudes. Ultimately, this is for you to decide for yourself. The American Library Association is a long-time champion of intellectual freedom. They advocate freedom to read and emphasize unrestricted access to a wide variety of reading, listening, and viewing materials as essential to our democracy. This organization has proudly sponsored Banned Books Week for thirty years. Go to their website to learn more about their efforts and policy concerns. Many libraries will have displays, events, and programs in the upcoming days commemorating the thirty year anniversary of Banned Books Week calling attention to the importance of safeguarding our intellectual freedom. The Birmingham Public Library is no exception. The Birmingham Public Library is offering programs as well. The library will offer an online Name the Banned Book Contest. 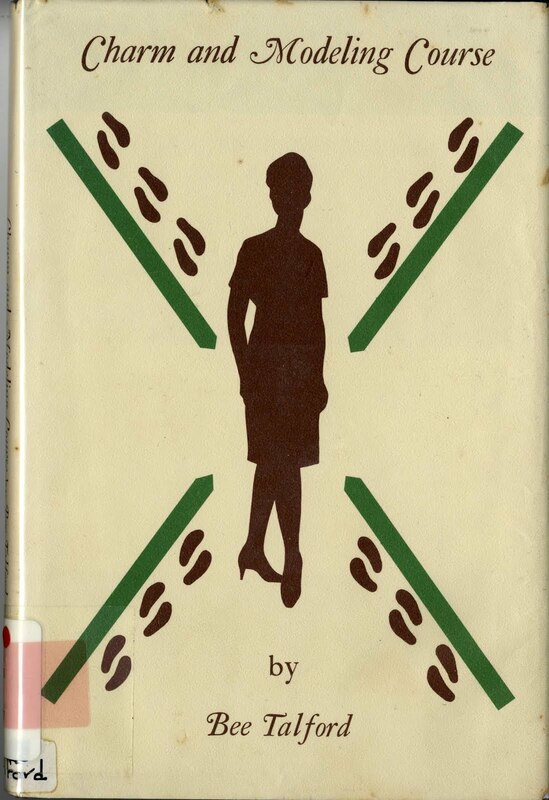 Every day a different passage from a banned book will be posted on our blog. Participants are asked to identify the title in the comments section. These responses will not be made visible to the general public until the following morning when the correct answer is revealed. All correct answers will be entered in a drawing and all winners will be posted on the BPL blog on Monday, October 8. This contest will begin at 9:00 a.m. on September 30 and end at 11:59 p.m. on October 6. While this program is being promoted on the BPL’s Facebook and Twitter accounts, contest answers will only be accepted through the comments field of the BPL blog. The Birmingham Public Library is proud to offer these displays and programs and we hope that you will participate in making all our voices heard as we celebrate the freedom to read. Here is a list of well-known titles that have been challenged from time to time. Fortunately, these are still available in many places including the Birmingham Public Library. 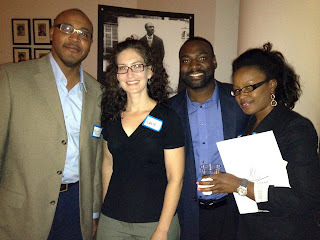 The Birmingham Public Library held its first Young Professionals social on Thursday, September 20. Prospective board members—young professionals ages 25-40 from throughout the Birmingham region—attended and enjoyed food by Mix Bakery and Café, drinks from Neighborhood Hops & Vine, and music by local jazz duo Collin Zuckerman and Tommy Bowen. But the evening had another purpose, which was to launch the library’s newest initiative: a young professionals board that will advocate for the library system, sponsor social events and fundraisers to benefit the library’s programs, and generate further interest in the library by active, talented young people from throughout the metro area. BPL will continue to accept applications for the BPLYP board until September 30. Visit www.bplonline.org/yp to fill out an application or nominate someone you know. Applicants will be notified about their application status by October 15. Award-winning poet and community activist John Paul Taylor will lead free adult poetry workshops the first Tuesday of the month through November 2012 from 6:00-8:00 p.m. at the Central Library. Gifts of a Wordsmith will take place on the library's second floor in the Story Castle. The class will cover how to get your thoughts down on paper, overcoming writer's block, copyright issues, self-publishing, how to perform, and more at the Central Library. The Friends of the Birmingham Public Library will fund the workshops. Shortly after coming to the Birmingham Public Library as our first Archivist in 1975, Marvin Whiting was walking down the street one day when he spotted a trash can in an alley with a large roll of maps or architectural drawings sticking out. As he was bent over with his head in the trash can, digging for more documents, he felt a tap on his shoulder. When he stood up a curious Birmingham Police Officer asked what he was doing. “You’re the what?” the officer replied. Born in Fort Valley Georgia in 1934, Marvin Whiting became the third generation of his family to attend Emory University. He earned a B.A. in literature, a B.D. in divinity, and an M.A. in librarianship from Emory as well as a Ph.D. in history from Columbia University. 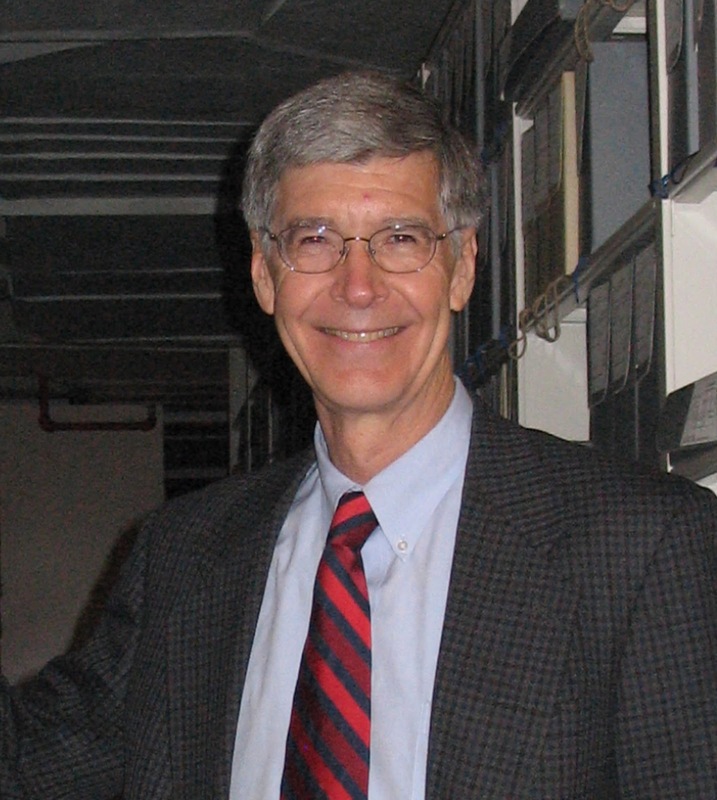 In addition to his work at BPL, Marvin also held positions as adjunct professor of history at Birmingham-Southern College and at the University of Alabama at Birmingham and as adjunct professor of library and information studies at the University of Alabama. He served as a member of the Jefferson County Historical Commission, a founding board member for the Birmingham Civil Rights Institute, helped found the Birmingham History Center and was one of the founders of the Society of Alabama Archivists. He authored several books, including One Great City: The Campaign for Consolidated Government, Birmingham, Alabama and An Enduring Ministry: A Biography of Henry Morris Edmonds. Marvin died in Birmingham in 2010, but his great legacy includes the many archivists that he trained and mentored, the local archives that he advised and nurtured in Alabama, and the hundreds of books on Alabama history that have been researched in the Birmingham Public Library Archives. Last year the Society of Alabama Archivists created the Marvin Yeomans Whiting Award. To be given each year, the award recognizes a person, institution, or organization that has made a significant contribution to the preservation and dissemination of local history in Alabama. The award is cosponsored by the Birmingham Public Library. The first Whiting Award will be presented September 28, 2012, as part of the Society of Alabama Archivists annual meeting at the Alabama Department of Archives and History (ADAH) in Montgomery. The recipient will be Ed Bridges, retiring director of ADAH. Ever caught a whiff of a scent that reminds you of a person or place you haven’t visited in years? 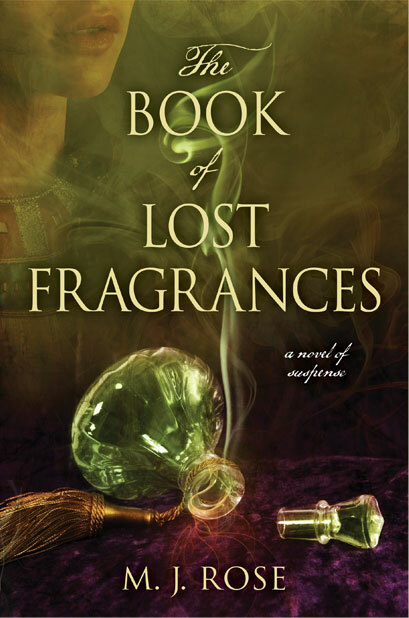 The premise of Rose’s novel, The Book of Lost Fragrances, is this: what if there was a perfume that made you remember your past lives? The answer is a lot more complicated than you might think. The L’Etoile family runs a perfume business in Paris, France that has been around for centuries. When a few shards of ancient pottery - brought home to France generations earlier - are rediscovered by the family’s modern descendants, research reveals that the clay pieces may be a powerful memory tool. The shards, it turns out, are pieces of a shattered perfume bottle recovered from an Egyptian tomb, and although the perfume itself has long evaporated, the scent remains impregnated in the clay. Meanwhile, the Chinese government, intent on destroying the Dalai Lama’s political power, hears about the L’Etoile discovery. Fearing that this memory tool will be used to find the next Panchen Lama (the Dalai Lama’s next incarnation), government officials scheme to destroy it. At the same time, Robbie L’Etoile, a devout Buddhist, looks for a way to deliver the shards safely to Tibet’s god-king. The fourth installment of Rose’s Reincarnationist series, The Book of Lost Fragrances uses current world politics and events to form a complex and imaginative stand-alone thriller. Unless you have been hibernating in a cave, you probably know that we are in the middle of the 2012 Presidential Election. The Presidential nominations for the Democratic and Republican parties are incumbent President Barack Obama and former Massachusetts Governor Mitt Romney. 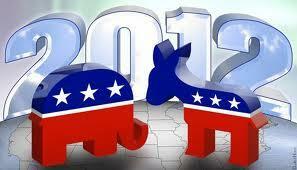 Are you wondering who should get your vote on November 6, 2012? The Social Sciences Department has put together a Subject Resource page to help you make an informed decision. Keep in mind that the general election is not only about the presidential election but also state and local elections. This subject page provides information about the presidential, state, and local elections, how to register to vote, where to show up on election day, resources on the issues that matter to you, where the candidates stand on those issues, and poll information leading up to the 2012 Election. Remember the last day to register to vote is October 26. 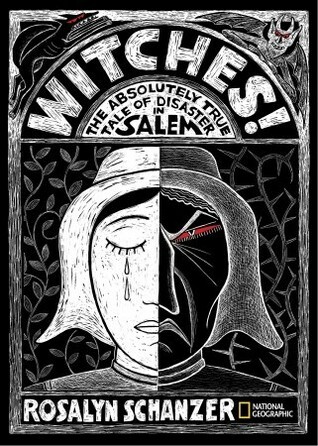 This is a nonfiction, multiple award-winning account of the "disaster" in Salem, Massachusetts, in the 1600s. No new ground is opened, but the text explains the events and consequences in a clear, nuanced account. The author doesn't spend any time blaming the girls or the religion of the participants, but she does not spare her disdain of the judicial system that allowed this "disaster." 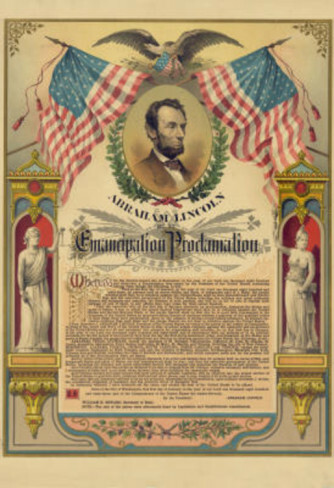 Most of us are aware of the Emancipation Proclamation that was issued on January 1, 1863, but probably fewer realize that a preliminary Emancipation Proclamation was signed by President Abraham Lincoln on September 22, 1862. Although it has nowhere near the stirring rhetorical qualities that we have come to associate with Lincoln’s writing, the preliminary proclamation nevertheless had an enormous substantive impact on the both course of the Civil War and future of American society. By declaring that all slaves held in the rebellious states would be free, Lincoln made the abolition of slavery a central concern of the United States government. The preliminary proclamation was actually issued as a military order, specifically General Orders No. 139. Lincoln chose to do this so that his policy could be enacted swiftly without having to wait for the consent of Congress. Furthermore, the timing of document’s release was dictated by military matters as well. Lincoln had actually drafted the proclamation in July of 1862, be he waited until the conclusion of the Battle of Antietam on September 17th to make it public. Antietam was by no means a decisive victory for the Union, but it did halt the Confederate invasion into the north. Lincoln was more than happy to take this small triumph and use it to his advantage. He, and his advisors, had thought that they needed to issue the proclamation from a visible position of strength on the battlefield because to do otherwise would make its issuance appear to be an act of desperation by a shaky government. A handwritten version of the preliminary proclamation was purchased by the New York State Legislature in 1865 and placed in the New York State Library. It is still there and it can be viewed on the Library’s website. The official printed version can be viewed on the Library of Congress’s website. The Birmingham Public Library has numerous resources available for those interested in learning more about the Emancipation Proclamation. In terms of books, perhaps the best recent overview of the origins and impact of the document is Allen C. Guelzo’s Lincoln’s Emancipation Proclamation: The End of Slavery in America. 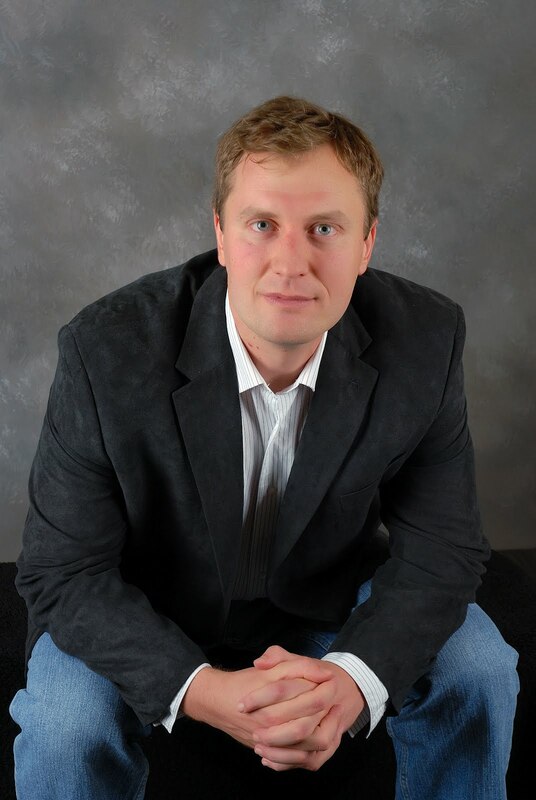 Also noteworthy are William K. Klingaman’s Abraham Lincoln and the Road to Emancipation, 1861-1865 and John Hope Franklin’s The Emancipation Proclamation, which was published in 1963 in observance of the final proclamation’s 100th anniversary. The Library’s subscription databases are also a great source of information about Lincoln, the Civil War, and the issue of slavery. Particularly useful would be African-American History Online, Oxford African American Studies Center, Annals of American History Online, and the History Reference Center. 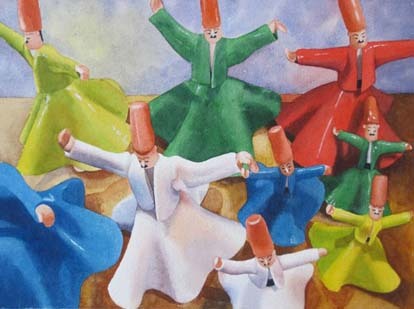 The Watercolor Society of Alabama Members' Showcase will be open through October 26 in the gallery on the fourth floor of the Central Library, 2100 Park Place. The free exhibit features 61 entries. It is open during regular library hours. An awards opening reception will be held on Sunday, September 23, from 2:30 to 4:00 p.m. at the Central Library, 4th floor Board Room. Several pieces are for sale. If you are interested in buying one, call 205-423-0922 or 256-238-2172. Smithfield Library is in the running to win $5,000 in the "Read! Build! Play!" project, sponsored by LEGO and DUPLO. 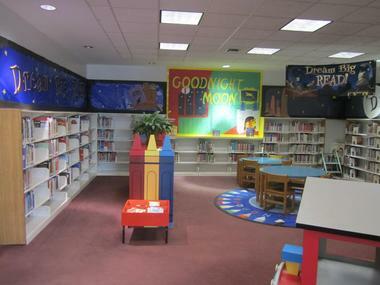 If Smithfield wins, the money will be used to upgrade its children's department. Please go to www.readbuildplay.com and vote for Smithfield. The deadline to vote is October 1. Voting is easy. Click on Alabama for the state, Birmingham for the city, and Smithfield Branch for the branch. You will see other Birmingham libraries on the website. But all Birmingham branches are supporting Smithfield. When you visit the contest website, be sure to just vote for Smithfield. Library assistant Reba Williams discovered the contest just a few weeks ago and decided to enter. She saw the contest as a way to help the library and the community. The money will help buy needed materials for the department. The branch started out in last place at No. 200 in the contest. But with the community's help, the library is inching toward the top, Williams said. People can vote up to three times a day. Your vote could help Smithfield win. Vote today. There are always some risks involved when using a computer in a public setting, be it a library or a free WI-FI hot spot. However, there are some things you can do to help keep your personal information private. Don’t save your logon information. Make sure that when you are done with your session, you LOG OUT of any website. It isn’t enough to close your Internet browser or application. There are many programs, especially browsers and networking sites, that keep you logged in or have automatic features that save your username and password. Do not leave your computer unattended, especially with sensitive information available for others to see. If you must leave your seat, make sure you log out of all programs and close all windows. Do not save your username and password on the computer. When you are surfing through the Web, make sure features that remember your passwords are turned off. You can do so in the settings or tools of your browser. Make sure to always delete your browsing history. These can help protect your private information. Be alert. Watch for those looking over your shoulder or those beside you. Protect your personal belongings and your private information. Think twice about using a credit card or revealing anything with sensitive information, like your social security number or address. These may not keep you entirely safe or thwart identity thieves, but it can help keep you alert and perhaps deter anyone from viewing or stealing your private information. 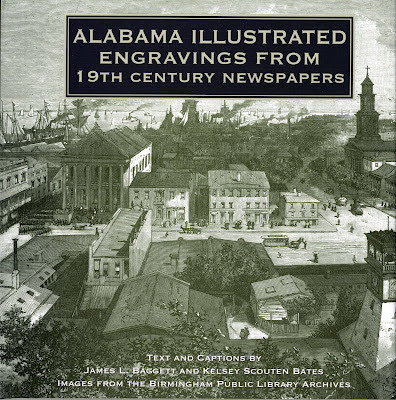 Earlier this month the exhibit Alabama Illustrated: Engravings from 19th-Century Newspapers opened at Old Alabama Town in Montgomery and will be on display there until October 20. Created by the staff of the Birmingham Public Library Archives, Alabama Illustrated exhibits 40 engraved images of Alabama—rural scenes, steamboats, the streets of Mobile and Montgomery, Civil War battles, and Birmingham blast furnaces. 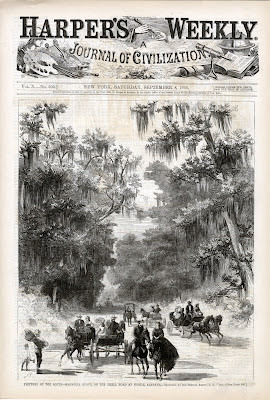 The images were originally published in the 1800s in national illustrated newspapers like Harper’s Weekly and Frank Leslie’s Illustrated Newspaper (both from New York), Ballou’s Pictorial and Gleason’s Pictorial Drawing-Room Companion (both from Boston), and The Illustrated London News (a British publication). In the 19th century many Americans received news and learned about the world beyond their own home towns by reading illustrated newspapers. Prior to the 1890s, the technology did not exist to economically publish photographs in newspapers, so many publishers emp loyed artists to draw and engrave images of people, places, and events. Many of these engraved illustrations, which accompanied news stories, poems, and short fiction are impressive for their detail and artistic quality. 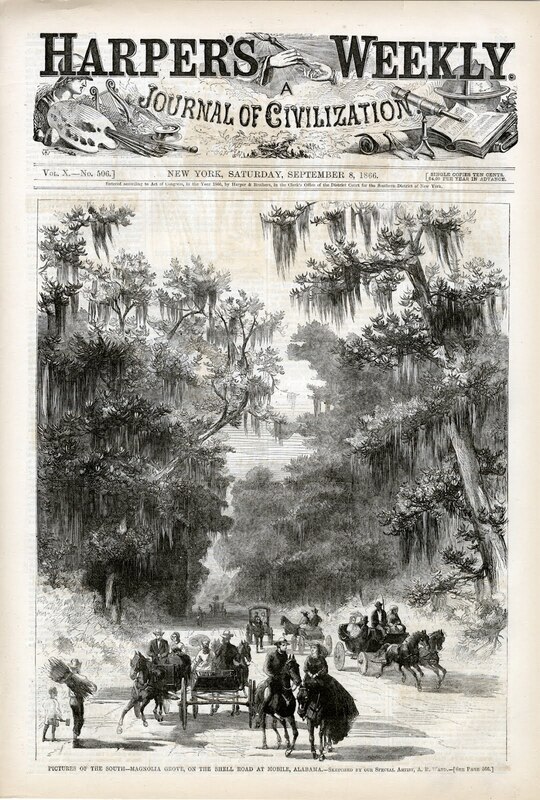 From the 1850s to the 1890s, more than 250 engraved images of Alabama were published in national and international newspapers and many of these images are now preserved in the BPL Archives. This exhibit is drawn from the Archives’ collection. Before traveling to Old Alabama Town, Alabama Illustrated was exhibited at the University of West Alabama in Livingston (January to February 2009), Troy University at Dothan (February to March 2009), the Birmingham Public Library (February to March 2010), and the Heflin Community Arts Center (May to June 2010). Alabama Illustrated is available for loan to libraries, museums, historic sites, and other locations with an appropriate exhibit space. For more information about borrowing BPL exhibits, contact Archivist Jim Baggett (jbaggett@Bham.lib.al.us) or Assistant Archivist Kelsey Bates (kbates@bham.lib.al.us). The accompanying book, also titled Alabama Illustrated, is available for check out. Arrrrr! Talk Like a Pirate Day September 19th! And here's some more good news for you, me hearties! Krispy Kreme Doughnuts is participating in Talk Like a Pirate Day with free doughnut giveaways! Talk about finding treasure---if you go into a participating Krispy Kreme and talk like a pirate, you get a free doughnut! If you go in full pirate costume, you get a free dozen! So rig up in pirate gear, perch a parrot on yer shoulder, and run the Jolly Roger up the flagpole---and if you need more information on pirates, set sail for yer local library! See you there, buccaneers all! I had a serious attack of “conscience” last week. I thought about a friend that I hadn’t spoken to in a few months and decided to call and invite them to lunch this Friday. I’m glad she could make time for me. This incident got me to thinking about inexpensive ways to spend time with friends. After all, friendships are important and need to be given time and care in order to survive and grow. Movie Marathon Day at Home: One of my best friends loves to do Movie Marathons. First, choose what you want to eat. One time we bought a box of fried chicken and made salad and sides at home, another time, we had brats with peppers and onions. The Movie Marathon starts at noon and ends at 8 or 9 in the evening (you’ll need food for lunch and dinner). Next, choose the movies you want to watch. I always like trilogies. You could check out the Bourne trilogy, Star Wars (original or prequel trilogies), the Matrix trilogy, the Lord of the Rings trilogy, or you could have a Tyler Perry marathon, etc. I also like Masterpiece Mystery on PBS and some of the BBC mysteries and dramas so Luther, Wallander, Downton Abbey, or Pride and Prejudice (A&E miniseries vs. the Keira Knightly movie) would all make good choices. Just remember, Birmingham Public Library has a great DVD selection, so you shouldn’t have to rent DVDs. A Movie at Your Local Library: The Barber of Birmingham: Foot Soldier of the Civil Rights Movement would be an excellent film to see with a friend and will be shown at 13 different branches of the Birmingham Public Library. This 2012 Oscar-nominated short documentary film chronicles the experiences of civil rights Foot Soldier, James Armstrong. At the West End Library, movie refreshments will be provided. Picnic in the Park: Pack a lunch and go to a local park. At Railroad Park, you don’t even have to pack a lunch, you can buy one there. A Dinner Theater: I’ve been attending the Homewood Public Library’s Mystery Dinner Theater for years. It’s always an excellent play and performance and the food is good. At $25 it’s at the high end of inexpensive, but not bad for 2-3 hours of entertainment and dinner. Get your tickets early and arrive early to get a prime seat. Ticket sales start October 1 for performances on October 19th–20th. Lunch on Saturday: Some restaurants provide lunch on Saturdays until three or four in the afternoon. It’s a great way to get food you love at a better price. The smaller portion size makes this a great way to splurge without all the calories. With a little ingenuity, even a costly activity can be reinvented as an inexpensive way to spend time (and have fun) with your friend. This little gem immediately captured my attention and offers up a fascinating look at the rules of etiquette and fashion for Birmingham women circa 1967. While the title, Charm and Modeling Course, implies that this book was intended for women working or hoping to work as models, the advice is clearly meant for women of all ages and backgrounds. All I can think is, “Wow. Things are much easier now.” In-depth coverage is given to such topics as gloves, their color and various lengths, and when to wear each. For instance, white gloves are to be worn only after 5:00 p.m. from September-December, but are OK any time of day during the rest of the year (by the way, one should never use a slang term such as OK). Other topics covered are posture, shoes, bags, and much more. Helpful charts are included to remove the guess work when it comes to coordinating one’s clothes, shoes, gloves, jewelry, and lipstick with one’s hair color. I’ve really enjoyed perusing this little book and, while I may not be matching my bag, gloves, and shoes anytime soon, I have a new appreciation for the work that women of just a generation ago put into all aspects of their appearance and bearing. Things certainly are much easier now. Are you unable to get to a library? If you are, how about checking out Books-By-Mail. Did you know that we will send books throughout Jefferson County? If you don’t have a library card, or even if you do, that's okay. Books-By-Mail has its own library card. You may receive four items per mailing period and keep them for four weeks instead of the usual three. It’s all free and the books will come through the mail to your doorstep. So, if you’ve stopped reading because you were unable to get to the library, let us assist you. 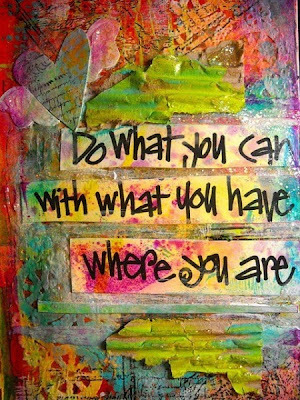 Call us today at 925-6176 and get started reading today! Several Birmingham civil rights foot soldiers will participate in a panel discussion on Wednesday, September 12, at the Central Library as part of the 12 p.m. showing of The Barber of Birmingham. The Oscar-nominated documentary will be shown for free in the Arrington Auditorium as part of the library's Brown Bag Lunch Program. The film features Birmingham barber James Armstrong and what he did to fight for equality in Alabama. In 1963, Armstrong won his fight to integrate Birmingham's Graymont Elementary School. His two sons would become the school's first black students. Wednesday's screening will be the first of 14 screenings that will be shown at various Birmingham branches, September 12-October 22. This event is a collaboration with POV (Point of View), the award-winning independent nonfiction film series on PBS. The film was produced by Gail Dolgin and Robin Fryday. GLORIA WASHINGTON LEWIS-RANDALL - She was one of thousands of school children who left school, marched, and was jailed for participating in the Birmingham sit-ins and boycotts of 1963. SEARCY CRAWFORD - Was a civil rights demonstrator from 1956 to 1963. He was jailed in the Birmingham City Jail in 1963. 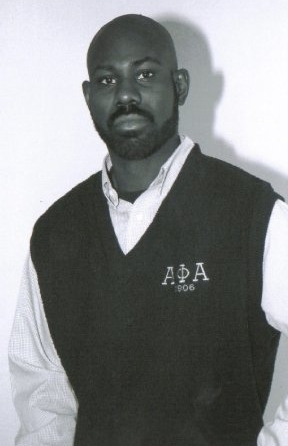 CHARLES AVERY JR. - He was a high school demonstrator of 1963. He had to be hidden in Chicago until the civil rights movement was over to make sure racists and Ku Klux Klan members would not harm him. LAVERN REVIS MARTIN A - 1956-1963 demonstrator. Was instrumental in finding dynamite at the Rev. Fred L. Shuttlesworth's home and preventing a second bombing there. SHIRLEY GAVIN FLOYD - She was a 10-year-old demonstrator in 1963. She appears in The Barber of Birmingham and served as a liaison to one of the documentary's producers. PAULETTE PORTER ROBY - Was jailed for protesting unfair practices. She stayed in jail overnight. She was released when NAACP members paid her bond. BARBARA BASEMORE - A 1963 child protestor. Walked out of her high school one day, marched, and was jailed for several weeks. Her quote is on a civil rights trail marker in front of the federal courthouse on Fifth Avenue North in downtown Birmingham. If you're 25-40 and would like to be considered for the board of the new BPL young professionals, you're invited to our Social! When: Thursday, September 20, 2012, 6 - 8 p.m.
BPL is accepting board applications until September 30 for young professionals ages 25-40 who live in the Birmingham metro area and are interested in being part of a literary-oriented group. The inaugural BPLYP Board will determine the direction of the group, plan social events, and launch an annual signature fundraising event—all for the benefit of BPL. The BPLYP will be a diverse group of people from various backgrounds and professions who love the Library and the creative and thoughtful life that it represents. Board members will be advocates for the Library and individuals who could commit time and resources for the benefit of the Library system. The BPLYP social at the Central Library on September 20 will give you the opportunity to meet other potential board members and enjoy drinks, light fare by MIX, and music by local jazz duo Tommy Bowen and Collin Zuckerman (trumpet, guitar and vocals). We will be choosing 40 board members by mid-October. Board members will be asked to help organize one signature fundraising event per year, attend six meetings per year, and contribute ten volunteer hours to the library per year. Annual dues are $250 (which may be donated individually or raised through private donors or corporate sponsorship). The BPLYP will be a great tool to establish a budding career! For more details and applications, go to www.bplonline.org/yp . Those who are nominated will also have to fill out an application form, available here on the webpage. The seventh anniversary of Hurricane Katrina’s landfall on the Gulf Coast was August 29th. This disaster had such an impact on the lives of people in this country that it inspired many novels on the subject. Authors have woven the anticipation, impact, and aftermath of the storm into a variety of stories. As our thoughts go out to those who are still recovering from Hurricane Isaac, see how these disasters inspire novelists to create something beautiful out of something that destroys. The annotations are publisher descriptions. Danny Chaisson's latest case is bid-rigging. But as his investigation proceeds, a gathering storm named Katrina blasts his world apart. Surrounded by death and destruction of New Orleans, the city he loves, Danny searches for one man who'd trusted Danny to guard his identity when he agreed to testify before a federal grand jury investigating corruption in the city's construction industry. But someone has leaked the identity of this crucial witness, and as the city begins to empty before the approaching storm, Danny learns that a pair of corrupt policemen hired by the wealthy defendants in the case have begun stalking his client. After Hurricane Katrina takes New Orleans by storm, forensic entomologist Nick Polchak starts finding bodies that were clearly dead before the hurricane struck. He understands that all forensic evidence will soon disintegrate in the hot, contaminated water, and he knows that's exactly what the killer wants to happen. Barely six months after leaving New Orleans, history professor Max Corbett is returning to a place he hardly recognizes. The girl he'd loved--and lost--is dead, and the once-enchanted city has been devastated by Hurricane Katrina. Max has not thought much beyond Gabrielle's funeral--until a strange old man offers him a map, and an insane proposition . . .
Hurricane Katrina has reduced the Big Easy to the level of a medieval society. Now, with looters descending and violence erupting in the streets, Iberia Parish Sheriff's Detective Dave Robicheaux combs the apocalyptic landscape for a quartet of criminals who hijacked a rescue boat from a drug-addicted ex-priest at the height of the storm, and then scooped up a gangster's hidden fortune. 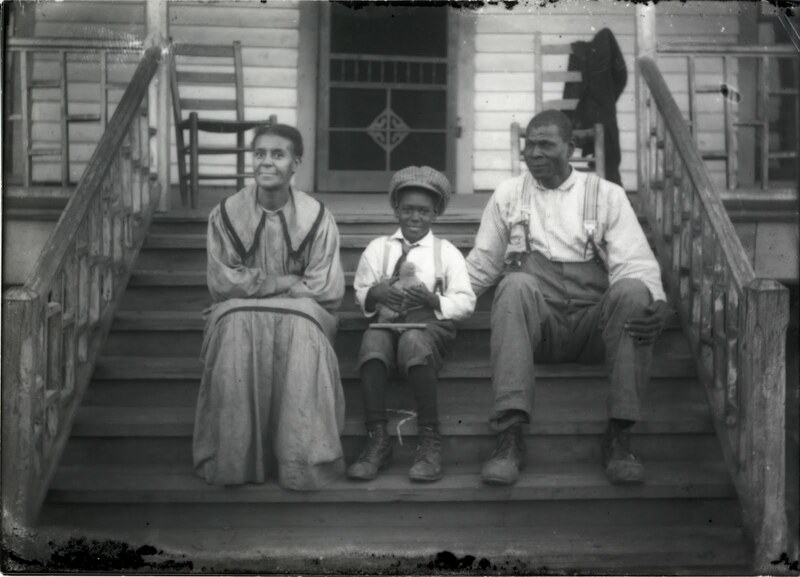 Both Sides of the Lens: Photographs by the Shackelford Family, Fayette County, Alabama (1910-1935) will be in the Fourth Floor Exhibition Gallery of the Central Library through Friday, September 14. The exhibition features 40 photographs from this collection of early 20th century glass plate negatives. The exhibition is curated by Andrew Nelson, a doctoral student at the University of Maryland, College Park, whose research on this Archives collection inspired the exhibition. The exhibition’s co-curators are Jim Baggett and Kelsey Bates, Archivist and Assistant Archivist at the Birmingham Public Library. All three curators have been working closely with Dr. Psyche Williams-Forson of the University of Maryland, College Park, an expert on African American material culture. 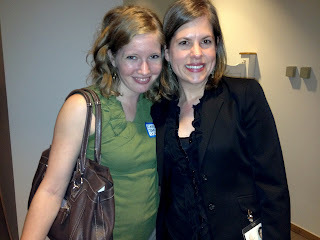 BPL is also working with the premiere expert on Alabama photography, Frances Robb. Do you know a Birmingham Public Librarian who goes beyond the call of duty? A national contest wants to know. 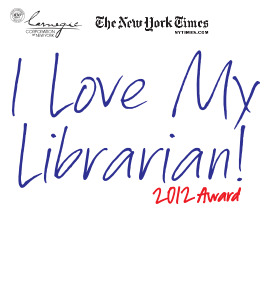 Wednesday, September 12, 2012, is the deadline to nominate a librarian for the I Love My Librarian Award, sponsored by the Carnegie Corporation of New York and The New York Times. Ten national winners will be selected. Each will receive $5,000, a plaque, and a $500 travel stipend to attend an awards reception in New York. A plaque will also be given to each winner's library. Saundra Ross-Forrest, BPL branch manager at North Avondale Library, was one of the 10 winners in 2011. She was the only librarian from Alabama to win last year. Will BPL see a repeat this year? We sure hope so! We have some of the best librarians around and we want the world to know it. Don't delay. Please nominate your favorite librarian today! Nominations can only be made online. To get started, go to http://atyourlibrary.org/ilovemylibrarian. “True grits, more grits, fish, grits and collards. Life is indeed good here in Birmingham (and at BPL) where grits are "swallered." 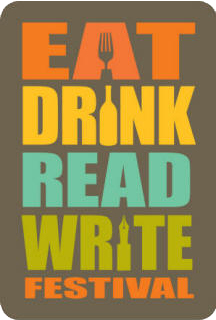 And for EDRW, we'll have much more than grits. We'll have cheese, craft beer, pizza pie, gourmet popcorn, Junior Mint brownies and M&M cookies, Conecuh sausage skewers with roasted Alabama peppers and onions served with a mustard jam, appetizers from local chefs and bakeries, and all manner of refreshments in between. We'll also enjoy books, lectures, movies, discussions, stories, and crafts with a host of great participants and attendees. It's going to be a scream.We're thrilled about the attention this year's EDRW has garnered from media outlets all over the city, state, and region. And don't forget our GRAND PRIZE giveaway!!!. In fact, we want to thank ALL our wondrous and delicious EDRW partners as well as the Friends of the Birmingham Public Library for helping to sponsor the event! We look forward to seeing everyone soon! Bon Appetit!